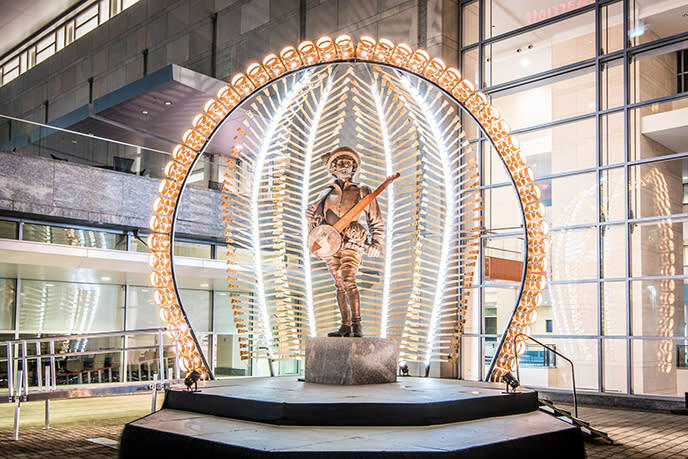 As the bluegrass band Chatham County Line has proudly proclaimed, “what was born in Kentucky is living in Raleigh now.” Indeed, during the end of Sept., Raleigh, N.C., is the epicenter of the bluegrass music cosmos. 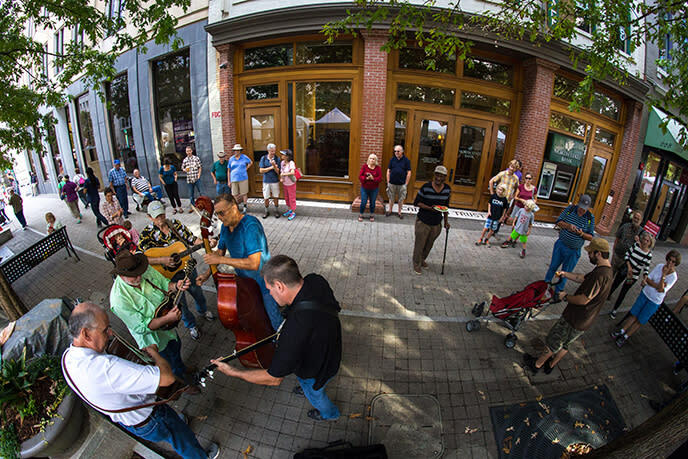 The weekend music festival PNC presents Wide Open Bluegrass (the climax of International Bluegrass Music Association&apos;s World of Bluegrass week) takes over downtown for the fifth consecutive year. Wide Open Bluegrass, including concerts at Red Hat Amphitheater and the StreetFest (including seven stages), features more than 100 bands! 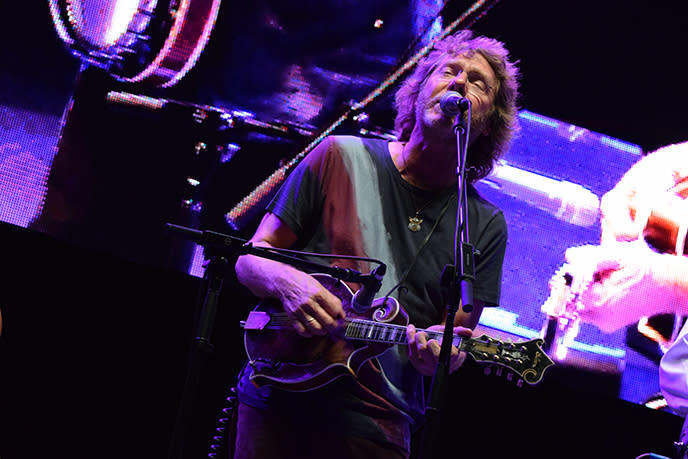 The Fri. show at Red Hat features eight bands, including a tribute to The Country Gentlemen by Jerry Douglas and Sam Bush, featuring Jon Randall, Mark Schatz and Charlie Cushman, plus the Wide Open Jam, presented by The Infamous Stringdusters. And the music doesn&apos;t stop there. Head back to the amphitheater Sat. for a stellar line-up with Hot Rize, Steep Canyon Rangers featuring Steve Martin and more. See the ticketed show schedule here. Catch N.C. favorites Chatham County Line at Red Hat, Sat. 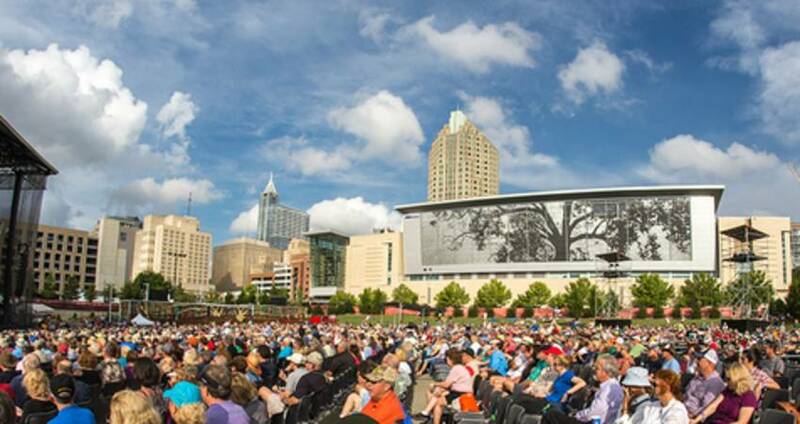 at 1pm, and listen out for "Living In Raleigh Now," the song they wrote inspired by the World of Bluegrass event&apos;s move to Raleigh. Check out the video below, with scenes around the city! Steve Martin and Steep Canyon Rangers&apos; performance on Sat. at Red Hat Amphitheater will be the only live collaboration this year in support of their brand-new album! "The Long-Awaited Album," dropping Sept. 22, shows Martin and the Rangers continuing to nudge the boundaries of the genre, respectfully but irreverently, which has established them as some of the top and most popular bluegrass musicians today. This performance will also be their album release celebration! 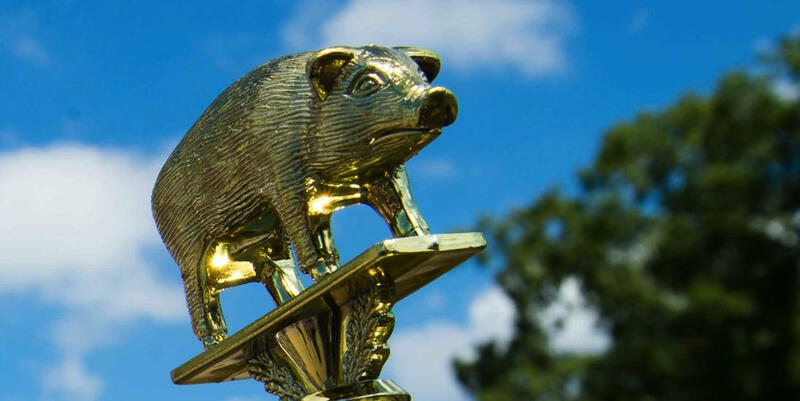 The Whole Hog Barbecue Championship brings more than 20 N.C. Pork Council-certified local barbecue champs back to Wide Open Bluegrass, and the cooked barbecue will be collected after judging, chopped and sold to festival-goers by the Inter-Faith Food Shuttle. Proceeds from the sale of the barbecue will go to support the Shuttle. Listen out for impromptu jams everywhere you go and discover amazing musicians all weekend. 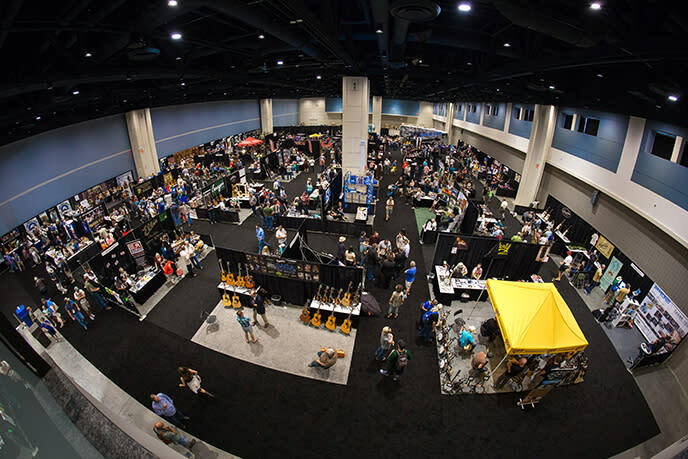 Don&apos;t miss the Master&apos;s Workshop Stage inside the Raleigh Convention Center to hear some incredible jamming on stage! The Youth Music Stage at the Raleigh Convention Center, the brand-new Family Fun and Picnic area and Kids Zone in front of Duke Energy Center for the Performing Arts, the Artsplosure Art Market, plus food, beer and craft vendors from around N.C. and the U.S., make Wide Open Bluegrass weekend a treat for the entire family.